The Van Vleet Memorial Doctoral Awards are made possible by the generosity of the Van Vleet Foundation established in 1964 by the late McKay Van Vleet, Memphis civic leader and business executive. 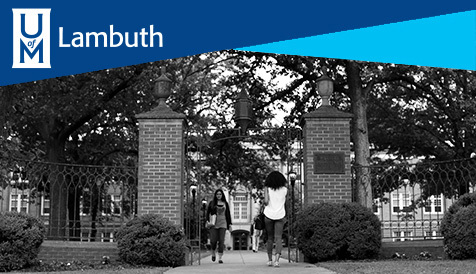 The gift to The University of Memphis was made by his wife Harriet Smith Van Vleet. The Van Vleet Memorial Doctoral Awards are designed to assist certain departments in attracting outstanding doctoral students. The awards are renewable for four years in the amount of $16,000 awarded annually ($17,000 for international students). Eligible Applicants: Entering doctoral students in one of the following designated science areas - School of Communication Sciences and Disorders, Biology, Chemistry, Earth Science, Geophysics, Mathematical Sciences, Psychology, Biomedical Engineering, Civil Engineering, Electrical Engineering, Computer Engineering, Mechanical Engineering, Public Health and Nursing. First consideration will be given to those students not previously enrolled at the University of Memphis. Selection Process: Department chairs are asked to nominate potential candidates by submitting a Nomination Form to the Dean of the Graduate School. Please include all required documentation. [Please note that photocopies of all documentation are requested--not originals.] Department chairs should include a cover memo ranking the applicants. Candidates will be selected by a committee composed of one representative from each eligible department. Condition: In order to continue the award, the recipient must maintain a 3.25 cumulative grade point average. Deadline: Nominations will be received through February 15, 2019. Chairs will be notified of the successful candidates in March and departments will be asked to secure a commitment to attend the University from the student recipient by March 10th, if possible. If there is a national response date for the given discipline, the Department Chair should inform the Dean of the Graduate School and recipients from that department will not have to make a commitment until the national response date. If no commitment has been made by the established date, the award will then be offered to the next candidate in the original ranking. For further information, call 901.678.4212 or send e-mail to: rposton@memphis.edu. Take the first step toward your advanced degree. Questions? The Grad School Staff can help!